There are times when Windows will store a password in plain text or other information on your PC in it’s paging file. Here is how to clear the paging file when you shutdown your PC. Note: It does increase your shutdown time a small bit. 1. 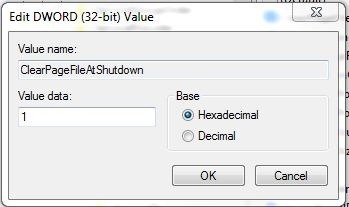 Start Regedit. Start > type regedit and press enter. 2. 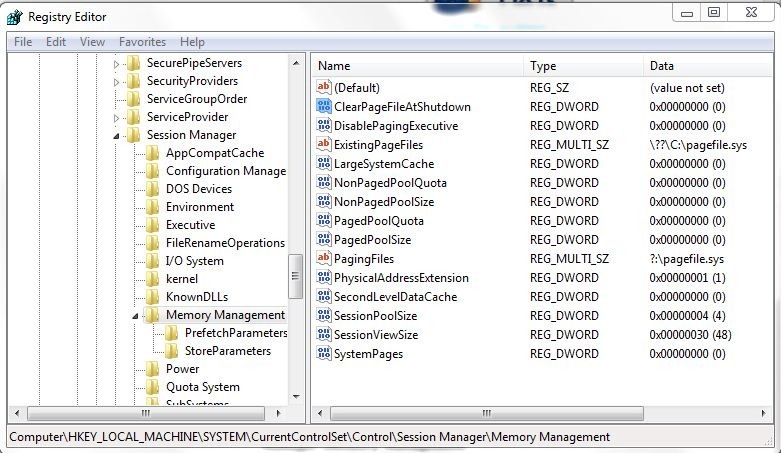 Navigate to HKLMSystemCurrentControlSetControlSession ManagerMemory Management. 3. In the right pane, right click ClearPageFileAtShutdown and select Modify. Change the Value data to 1 and click OK. When you shut down your PC, the page file will now be deleted giving you an extra little bit of security.